NP1 and NP2 are the industries most popular high-performance vertical grade sealants for exterior applications. SL1 and SL2 are the self-leveling versions for expansion joints on grade (horizontal joints). These are high performance moisture-curing polyurethanes. 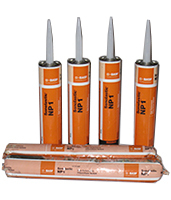 NP1 and NP1 are designed for sealing / caulking all types of active exterior construction joints. NP1 caulk sealant requires no mixing and bonds to most construction materials without a primer, including concrete, masonry, wood and most metals. 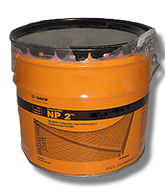 NP-2 is a color tintable 3-part sealant which accommodates up to 2" joints with +/- 50% joint movement. NP2 is available in 22 standard colors and up to 470 custom color choices. Is BASF MasterSeal NP1 the same as BASF Sonneborn NP1? During late 2014 BASF changed branding from Sonolastic Sonneborn NP1 to Master Builders MasterSeal NP1. It is the same product. NP-1 Primary Uses: Interior or Exterior sealant. Its is the toughest most durable sealant, and suitable for all common construction materials, including: Concrete / masonry, aluminum, wood and wood window frames, expansion wall joints, curtain wall construction, panel walls, pre-cast units, fascia, parapets, structural components, siding. - NP-1: +/- 35% joint movement capability, up to 1-inch. NP1 has 800% Elongation with 350 PSI Tensile. NP2 has 280% Elongation with 160 PSI tensile. 20 oz. Sausages, and 1-1/2 to 5 Gallon pails. - Easy to gun and tool. - Bonds to most construction materials without a primer. 733 Primer is recommended on chalky or difficult surfaces. 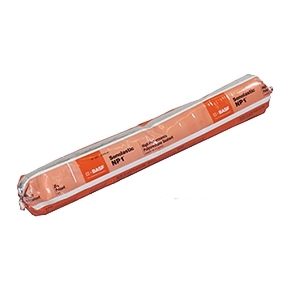 - USDA Compliant for use in meat and poultry area. - Wide range of application temperatures. - Suitable for all climates. - Both are generally used together with Backer Rod. 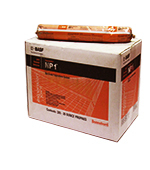 NP-2 (BASF MasterSeal 900) is a color-tintable sealant. 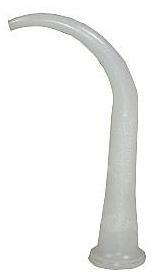 It can also accommodate joints up to 2" wide with +/- 50% joint movement, but has lower tensile strength. NP-2 can also be accelerated for quicker cure or to apply down to 20F. Its also great for color matching exterior colors on window frames, stucco, expansion joints, etc. NP-1 is pre-tinted in 11 standard colors. We stock the complete line of standard colors including white, off-white, limestone, stone, tan, aluminum grey, medium bronze, special bronze, redwood tan, and black. MasterSeal NP-2 has 22 standard colors (Standard BASF Color-Pack Chart) which cost lower per pack than the 470 Custom Colors. You can order Custom Color Tint Packs for MasterSeal NP2 and SL-2 on our website. 20 oz (590 ml) Sausages, 20 Sausages/Case. 1.5 and 3 gallon metal pails. 2 parts are packed in the pails. Color packs are separate. SL1 / SL2 Products: These are self-leveling versions of the NP1 and NP2 products. Used for horizontal expansion joints. We have a full selection HERE.